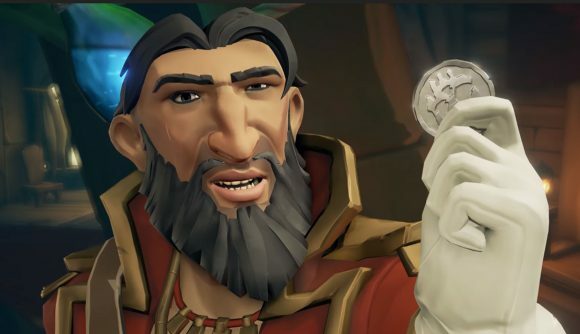 Sea of Thieves has had a pretty stunning resurgence to kick off the year, and it’s even managed to hit the top spot on Twitch – even if there are a few caveats to that particular announcement. Still, it’s a solid indicator of the game’s newfound success, and Rare is offering a bit of extra incentive to help bring new players in. You can currently get GOTY 2018 pick Sea of Thieves for 50% off on the Microsoft Store, which gets you access to both the Windows 10 and Xbox One versions of the game. In the US, it’s down to $29.99 from $59.99, and across the pond it’s gone to £24.99 from £49.99. You can also play it as part of Xbox Game Pass, whether you’re on console or PC – you can get a free trial of the monthly subscription as well, if you’re so inclined. The renaissance for Rare’s pirate game comes courtesy of some big updates and the interest of a handful of streamers, starting with Summit1g and extending to Dr DisRespect and Ninja. It’s because of those top names jumping over that Sea of Thieves hit #1 on Twitch – which was documented on Reddit – and the numbers haven’t kept up to nearly the same degree when those folks are inactive. But it’s been enough for Rare to note a general uptick in player count and sales numbers amid all this attention, as noted in a recent developer update video. New ways to play like the upcoming PvP Arena should help keep those players happy, and updates like Shrouded Spoils have helped to expand what’s available to do. Whether Sea of Thieves can continue all this momentum is still a big question, but it looks like a larger community is starting to latch onto the sandbox experiences that make this game special.